In this blog, we will see some of the important SQL Interview Questions and Answers. 1. What is a Primary Key? The primary key is used to uniquely identify a record. A table can not have more than one primary key. If a table has userid, email, passport no. and userid is the primary key then how to maintain the uniqueness of other columns such as email and passport no. That is possible with a Unique key. We can have multiple unique key in a table. Primary key doesn’t allow nulls, unique key allows one null. 2. What is the Unique Key? A unique key is used yo uniquely identified a record in a table. We can have multiple unique key in a table. 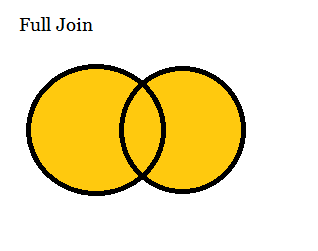 The main difference between Primary key and a Unique key is that Primary key doesn’t allow nulls, unique key allows one null. 3. What is Foreign Key? A foreign key is one table which has a relation to a primary key in another table. A table can have multiple unique and foreign keys. However, a table can have only one primary key. Unique key columns are allowed to hold NULL values. A Unique key can accept only one null value. A Foreign key can hold NULL values. _ is to specify exactly one character. Any character within the bracket. This will result in all name which starts with either K, or A or S.
[^] Any character within the bracket. This will result in all name which does not start with either K, or A or S.
A view in SQL is a virtual table based on the result made through SQL query. The view looks similar to a table, View also contains data in form of rows and columns. From the table, only those record retrieved where gender is Male and then grouped. Can we use Where, Group By and Having Clause in a single SQL Query? Yes, we can use all 3 clauses in a single SQL Query. Normalization is the process of organizing data to reduce redundancy in a database. Normalization basically breaks the database into multiple tables by defining relationships between them. Join is used to query data from more than one table. 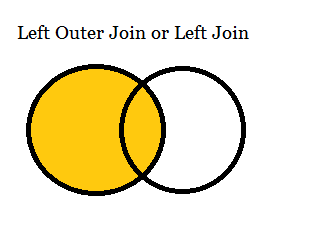 Below are the types of JOIN in SQL. Returns only the matching rows in both the tables. Returns all the rows from the left table. Returns all record from the right table. All matching and non-matching records from left and right table. Results no. of records into table A into no. of records in table B. Here self join require as for Employee ID 1 , Manager is Tom which Employee ID is 2. Here are LastName returns null then "No Last Name" will be your result. 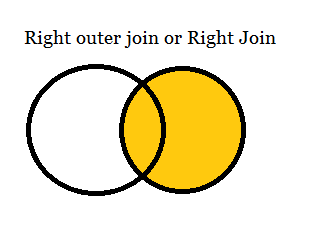 Both are used to combine more than one select queries. Union removes duplicate records, but Union All doesn't remove duplicate records. A union is slower than Union All as Union needs to perform a distinct sort. Union combine rows from 2 or more tables but JOIN combine columns from 2 or more tables. Use to convert one data type to another. A scalar function may or may not have a parameter and returns a value. For eg age calculation from DOB can be a scalar function. Above function will return the result in a table based on the passed parameter. It can have BEGIN and END, whereas inline table valued function can't have. Temporary table gets created in TempDB and are automatically deleted when they are no longer used. It is available for the connection that has created and dropped when the connection gets closed. Global temporary tables are available for all connection. Indexing is a process to make data retrieval faster in a SQL database. Indexes can be created on Tables as well as on Views. Indexing in SQL is similar to indexes in a book which helps us to find a particular word faster by providing the location of that word. Cluster index - It arranges tables in a physical order. 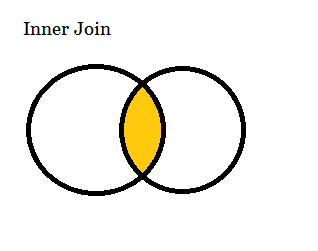 Due to this reason, a table can have only one clustered index. By default, a clustered index is applicable on a table on the primary key. But we can change the cluster index key. To do this we need to delete the existing cluster index and write below query. It will create a clustered index on table1 for first name and city column. As it is applicable on more than one column, so it is called composite cluster index. So, a table can have only one clustered index. Non-clustered index - A table can have more than one non-clustered index. It uses row address to find the record. A nonclustered index can be understood with index given in a text book. A clustered index is faster than nonclustered index. 20. What is a Cursor? A cursor is a database object by which we can process and manipulate each and every row. A cursor is useful in a scenario where someone wants to fetch a row and do some manipulation on that row. 21. What is a Trigger? A trigger in SQL is a process that automatically executes after meeting certain conditions. For eg - When a new employee record gets inserted into the Employee Master database, the new record should be created in related tables like Salary Process. It is used to specify the rule for data in a table. Following constraints are available in SQL- NOT NULL, UNIQUE, PRIMARY, FOREIGN KEY etc. 1. Reset table to empty state. It is a DDL command. 2. Where clause can not be used with truncate command. 4. Rollback is not possible. 1.It is a DML command. 2. Where clause can be used with Delete command. 24. SQL Query to find duplicate values in a table. Below query to check records with duplicate email id. 26. SQL Query to find the employee who is a manager.